The children have been put to bed as it’s time for them to get some rest. He and his reindeer will deliver what all the elves have made to share. Not a creature is stirring, and even the tiny mice are sleeping out of sight. Yet Someone more special is wanting to deliver a different kind of gift. You would never have to wait in a return line, it’s much more than a token. What I am talking about goes on and on and actually right into eternity. They will say this “gift” is what you work for, hurry up before it’s too late. What if I pull out my wallet when I get a gift, what would the giver surmise? No, we understand that a gift is a gift, this should not be a great big surprise. Yet how unfortunate that so many consider this to be just an annual fable. This one—born, lived, and died before He was resurrected—offers a Gift to all. There is nothing I consider more valuable or anything that has a greater worth. But receivers of the priceless Gift, it’s heaven we get, how amazing we now rate! Remember the Gift given to those who believe, it is what we know as Paradise Found. Is it really a gift? 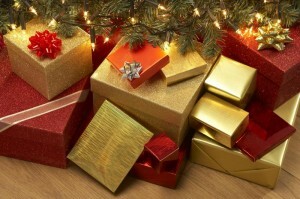 This entry was posted in Jesus Christ and tagged Christmas, Christmas Gift, Jesus Christ. Bookmark the permalink. 4 Responses to What Kind of Gift? Merry Christmas everyone. Have a safe and great day. resulted in many of them finding the true Savior and eternal life thru Him alone—Heb 7:25. Thanks for your dedication . These verses and many more teach that SALVATION is a GIFT from God. It cannot be bought with money, or earned by doing works. So How can you honestly believe that works are part of attaining salvation? Hope and pray everyone celebrated Immanuel well and safe! I spent Christmas evening with some LDS friends and one of them said something interesting I had not heard before but maybe I’ll wait for the next thread. May we always remember the True Gift God has already blessed us with.